The highly anticipated sequel to the thrilling #1 New York Times-bestselling Six of Crows. Kaz Brekker and his crew have just pulled off a heist so daring even they didn’t think they’d survive. But instead of divvying up a fat reward, they’re right back to fighting for their lives. Double-crossed and badly weakened, the crew is low on resources, allies, and hope. As powerful forces from around the world descend on Ketterdam to root out the secrets of the dangerous drug known as jurda parem, old rivals and new enemies emerge to challenge Kaz’s cunning and test the team’s fragile loyalties. A war will be waged on the city’s dark and twisting streets—a battle for revenge and redemption that will decide the fate of the Grisha world. 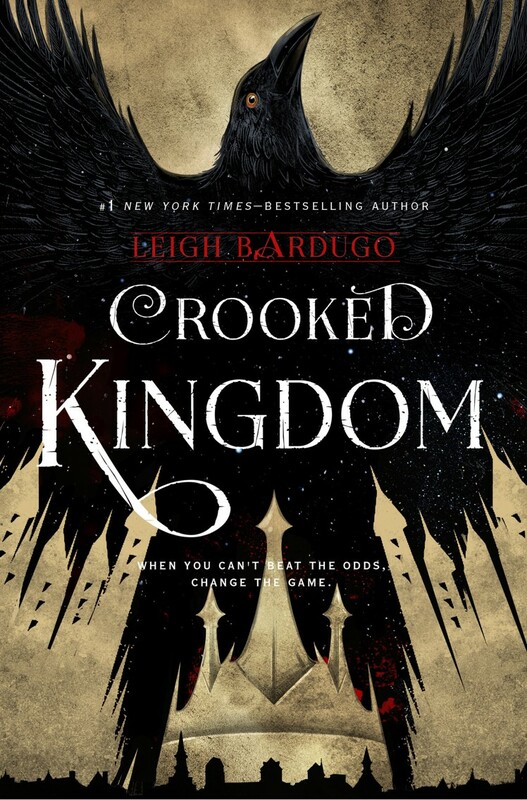 Kaz Brekker and his misfit family are back, mad and thirsty for revenge in Leigh Bardugo’s highly anticipated Crooked Kingdom—the follow-up to Six of Crows. Atmospherically dark and rife with tension, 536 pages fly by in a fury of blood, backstabbing and retribution promises uttered through clenched teeth. Everything that could go wrong does as situations become increasingly impossible for Kaz and crew. Ketterdam—a city already brimming with crime—has never been more dangerous, as those in power vie for a play on jurda parem. Double-crossing merch Jan Van Eck exploits Kaz’s only weakness by clasping tightly to Suli acrobat and Wraith of the Dregs, Inej. So before they can collect the money owed to them, they must first rescue her from Van Eck’s ruthless clutches following a brazen plan that only Dirtyhands could devise. The story unravels from there with ample time devoted to each of the crew—Inej, Matthias, Nina, Jesper and Wylan. Relationships advance (as we’d eagerly hoped) and new exciting characters emerge to stir things up. Best of all, despite the chaos that reigned, character arcs and interactions felt genuine. Already this multiethnic band of thieves and thugs had burrowed deep into my heart, but the poignancy of some of the moments experienced was acutely felt. As the story’s climax neared, I was at the edge of my seat, heart pounding, reveling in the brilliance that is Kaz’s cunning mind as each piece of the plan thundered on the page. Exciting stuff! Crooked Kingdom was a rousing war of cons with the fate of kingdoms, of magic itself, at stake. And although the story bled with tension, it also shined with redemption, friendship and love. I was one of the very very few early reviewers!